We can offer flexible packages to all groups including Friends, Corporate, University, School and Community groups at a competitive price. We have buses and coaches ranging from 13 to 53 seats and have packages to suit each groups specific needs. We can organise each groups customised itinerary including accommodation, transport, meals, entertainment, ski hire and lift passes. 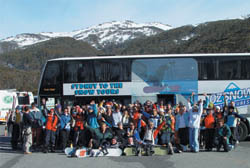 Oz Snow Adventures is an accredited bus company, tour operator, travel agent, and resort complexes all in one. This enables us to have greater control, reasonable prices with better facilities and services. 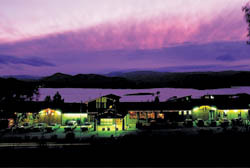 We own accommodation on snow in Thredbo and in Jindabyne as to cater for all bugets. Snow Adventures designs their tours to be fun filled, good value for money and will remove the stress from organising your next snow holiday. Call our Groups department for a quote. Email our Groups department for a quote and we will get back to you asap.